Christian joined Watsi on April 18th, 2013. Five years ago, Christian became the 185th member to automatically support a new Watsi patient every month. Since then, 4,921 more people have become monthly donors! 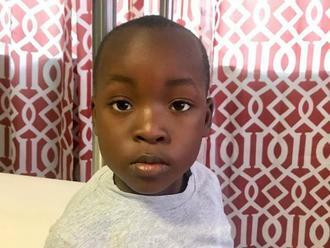 Christian's most recent donation traveled 8,700 miles to support Joshua, a boy from Tanzania, to fund corrective surgery. Christian has funded healthcare for 61 patients in 13 countries. Bros is a construction worker from Cambodia. He has three brothers and four sisters. He likes to go for walks, watch TV, and hang out with friends in his free time. Five months ago, he was in a motor vehicle accident that caused paralysis of his right arm. He has been diagnosed with a brachial plexus injury on his right side. The brachial plexus is a nerve network that transmits signals from the spine to the shoulder, arm, and hand. Injuries to this nerve network can result in loss of function and sensation. He is unable to use his arm and he cannot work. Bros traveled to our medical partner's care center to receive treatment. On January 10, he will undergo a brachial plexus repair surgery. After recovery, he will be able to use his arm again. Our medical partner, Children's Surgical Centre, is requesting $637 to fund this procedure. He says, "After surgery I hope I don't have any more pain and I can use my arm again." Win is 45-year-old woman from Burma. She lives with her 85-year-old mother and 55-year-old husband. She makes and sells Burmese noodles at home while her husband works as a day laborer. Win loves to sew her own clothes in her free time, and she enjoys spending time with her mother and looking after her. For the past two months, Win has been experiencing severe lower back pain as well as a sharp pain and tightness in her stomach. She has been diagnosed with an ovarian tumor. She has been advised to undergo a total abdominal hysterectomy, the surgical removal of her uterus and cervix. If left untreated, Win's symptoms will continue to worsen and put her at risk for further health complications in the future. Fortunately, Win is scheduled to undergo her hysterectomy on August 14. Our medical partner, Burma Children Medical Fund, is requesting $1,500 to cover the total cost of her procedure and care. Once recovered, she will no longer experience pain. "I hope to recover so that I can return home and look after my mother," says Win. Aung is a 13-month-old boy from Burma. He lives with his parents, his 13-year-old sister, and 8-year-old brother in Myawaddy, Karen State. Since he was born, Aung has had an inguinal hernia. Aung’s hernia is gradually increasing in size. 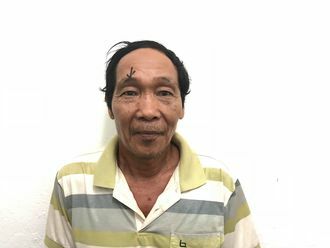 Fortunately, on June 12, he will undergo hernia repair surgery at Mae Sot General Hospital, our medical partner's care center. Our medical partner, Burma Children Medical Fund, is requesting $1,500 to fund Aung's hernia repair surgery. The procedure is scheduled to take place on June 12 and, once completed, will hopefully allow him to live more comfortably. 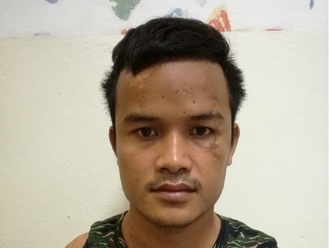 “We would like our son to finish school and become an educated man,” says Aung’s father. Chhay is a baker from Cambodia. He has two sons, six daughters, and twelve grandchildren. He likes to watch music videos and boxing matches. He likes to make desserts. Four years ago, Chhay developed a cataract in each eye, causing him blurred vision, clouded lenses, and photophobia. He has difficulty seeing things clearly, recognizing faces, and going anywhere outside. When Chhay learned about our medical partner, Children's Surgical Centre, he traveled for one and a half hours seeking treatment. On April 26, doctors will perform a small incision cataract surgery and an intraocular lens implant in each eye. After recovery, he will be able to see clearly. Now, he needs help to fund this $398 procedure. He says, "I think my vision is improved so I can continue my business selling desserts and recognize faces of my loved ones."